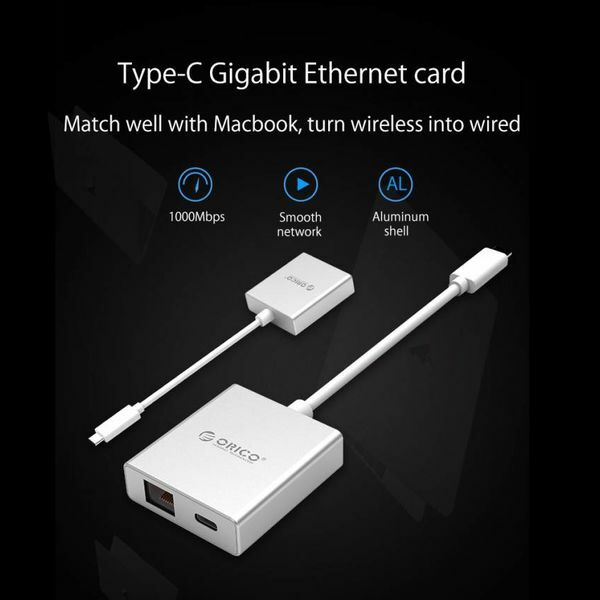 USB-C to RJ45 Gigabit Ethernet Adapter. 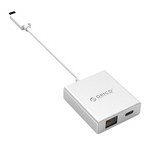 Create a stable internet connection through your Type-C port with this stylish, aluminum adapter from Orico. 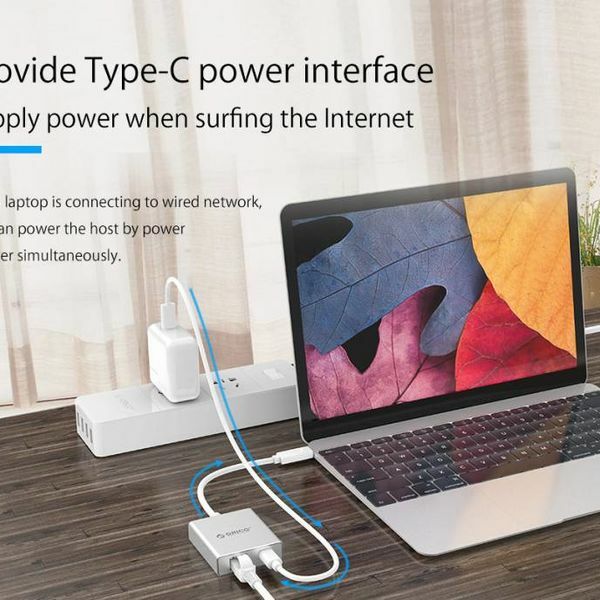 Also has Power Delivery. Do you have a MacBook or other laptop with a Type-C connection, but does it no longer have a Gigabith Ethernet (RJ45) port? 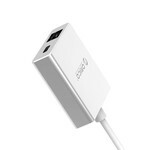 Then this stylish aluminum adapter is the product you need! By connecting the Gigabit Ethernet Adapter with the integrated 15 cm cable, you can easily connect your USB-C port to an Ethernet connection. 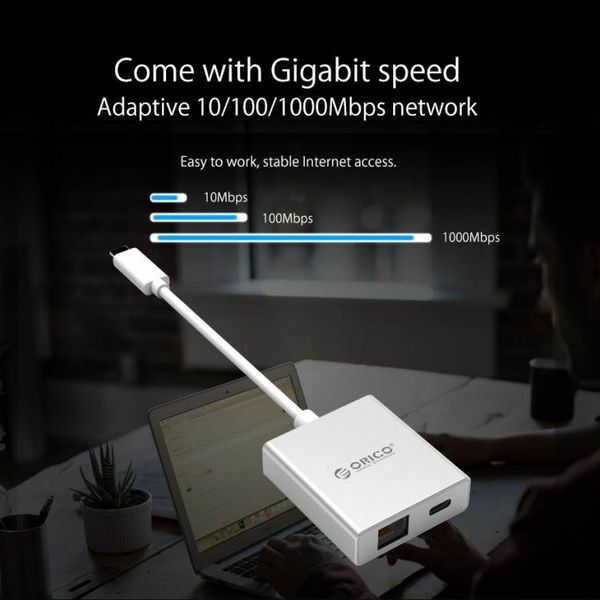 With this Type-C to RJ45 aluminum adapter you can create a wired network, with internet speeds up to 1000Mbps can be achieved. The wired network has a more stable connection than via WiFi. The silver USB-C to RJ 45 Gigabit Ethernet adapter is made of aluminum. 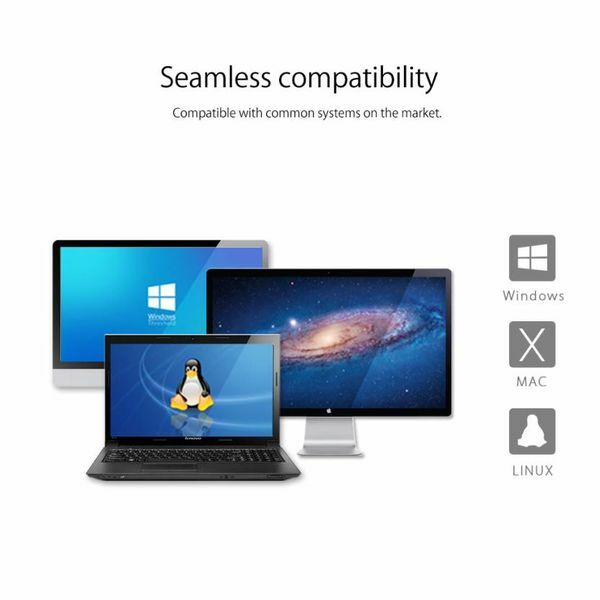 It has the same texture as a MacBook. Because of this and by polishing, lasering and the cold metal, the product fits perfectly in an Apple environment. Naturally, the Orico adapter also fits well in a different environment. If you connect your power adapter from, for example, your MacBook to the USB-C port of the Type-C to RJ45 Gigabit Ethernet Adapter, your MacBook will also be supplied with power immediately. 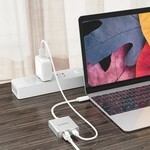 This is charged via the Power Delivery function. 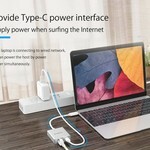 If you have one Type-C port on your laptop, you can therefore still load and use a stable internet connection via the RJ45 adapter. 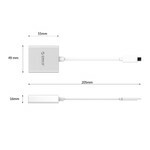 With dimensions of 55mm x 49mm x 16mm and a weight of ... grams, the stylish adapter is very compact and lightweight. 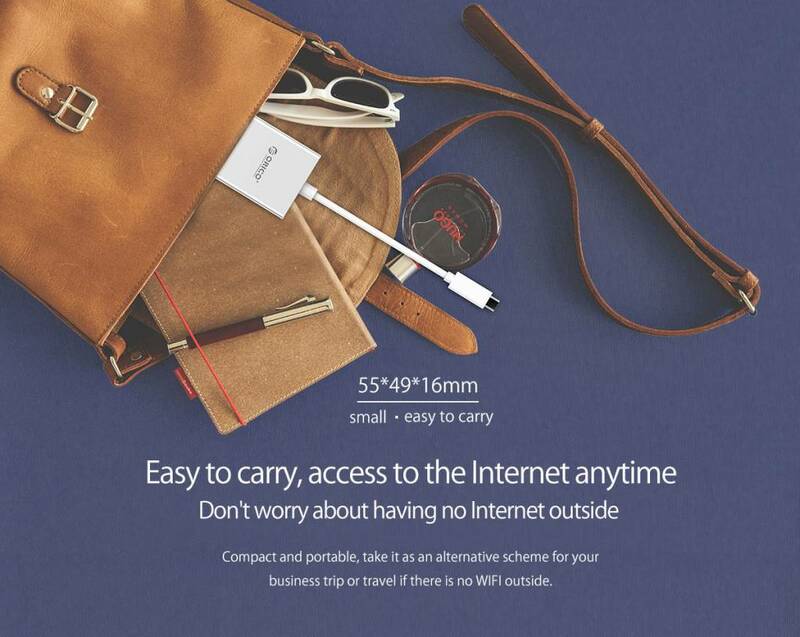 This makes it easy to take anywhere in your bag, bag or suitcase. 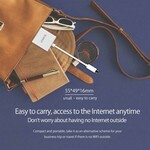 Take it on vacation, to school or use it during business trips for a stable internet connection. 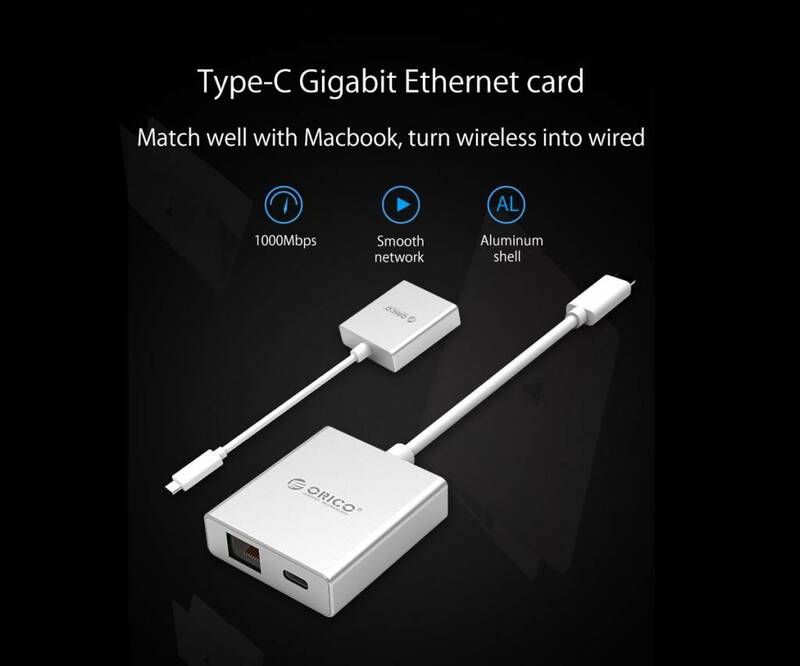 You can create a wired network with the aluminum adapter if you have a Type-C port on your laptop. 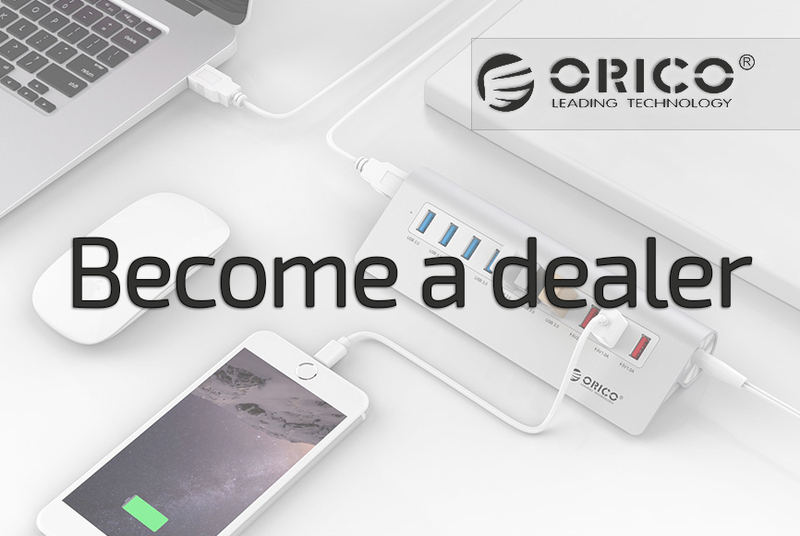 The USB-C to RJ45 adapter is compatible with various systems, including Windows, Mac and Linux. 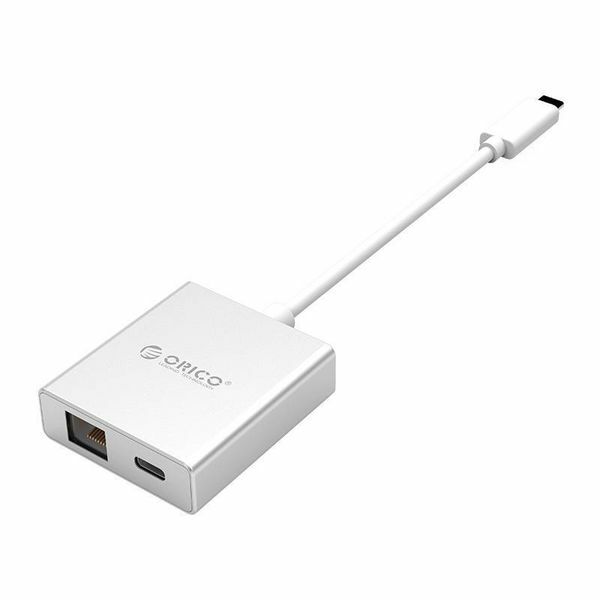 ✔ USB-C to RJ45 adapter. 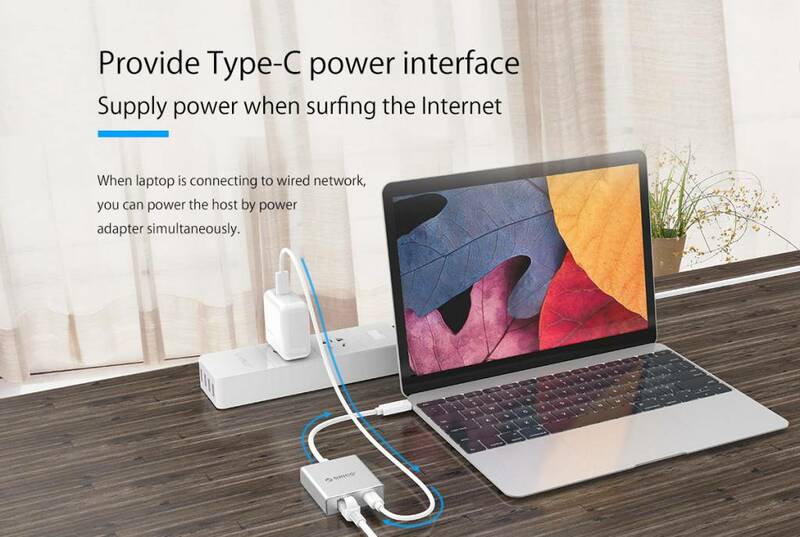 ✔ Output: RJ45 (Gigabit Ethernet) and Type-C PD. 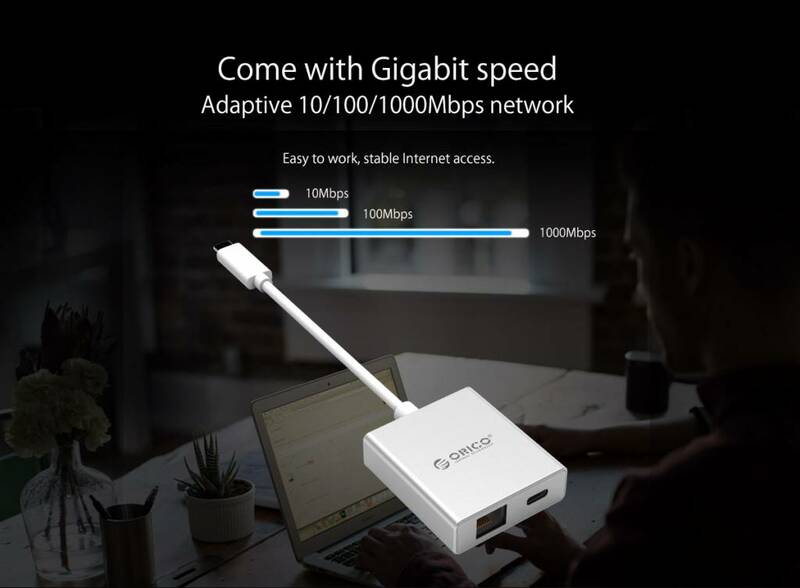 ✔ Internet speeds 10/100 / 1000Mbps. 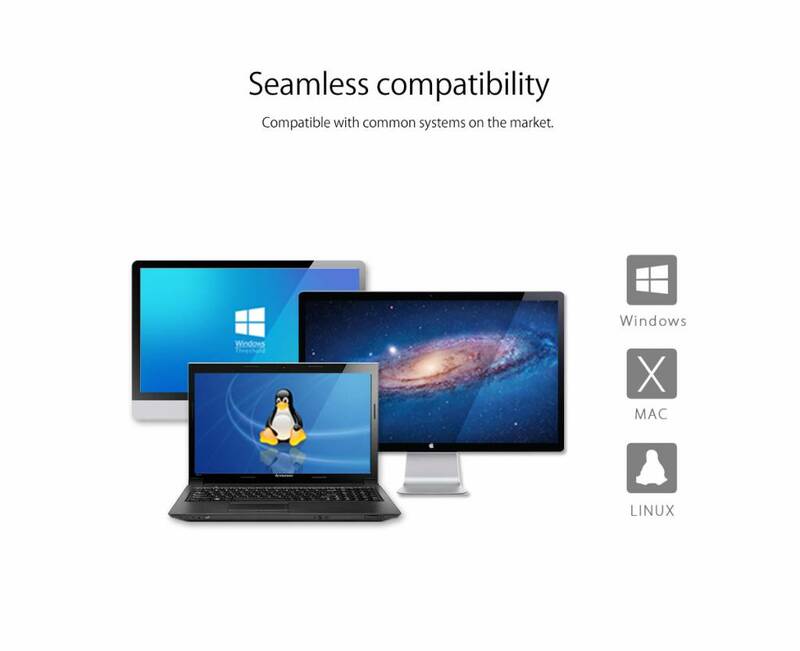 ✔ Conform: CE, FCC, RoHS. 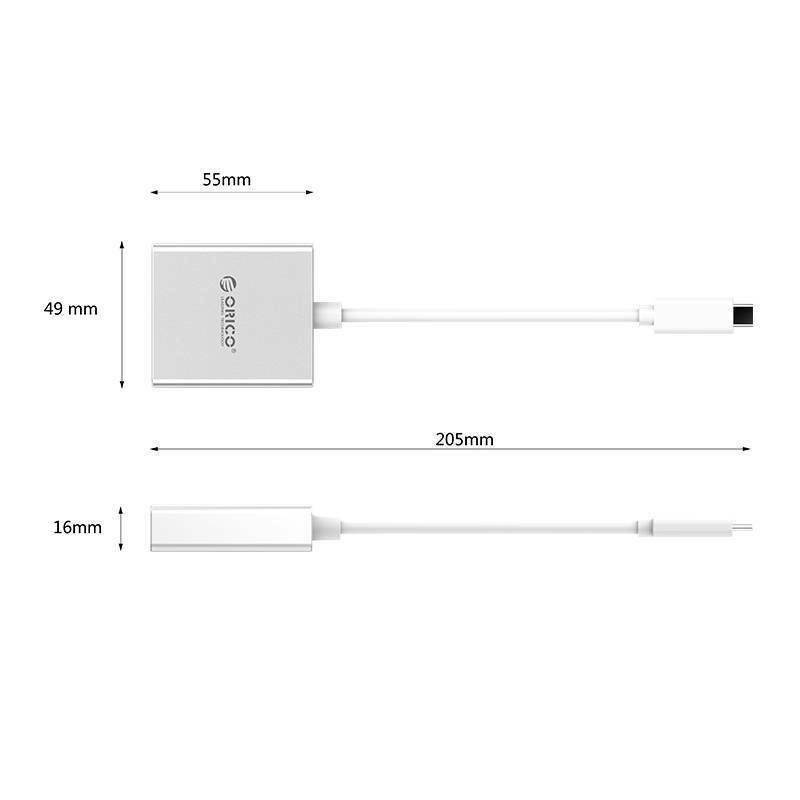 ✔ Length of integrated cable: 15 cm. 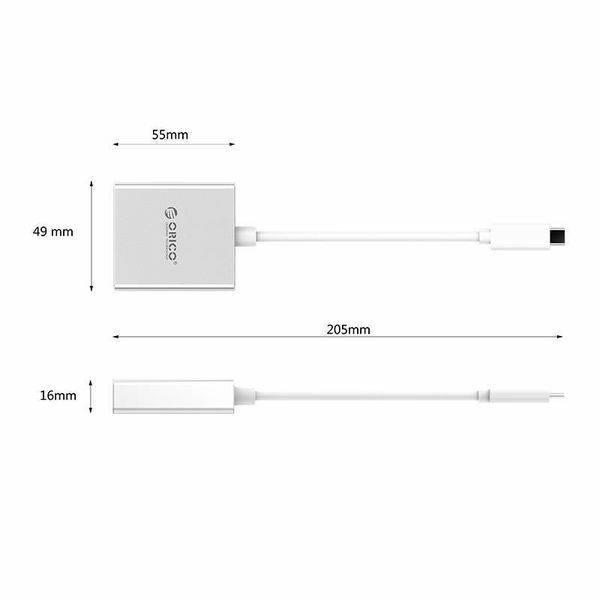 ✔ Product dimensions: 55mm x 49mm x 16mm.